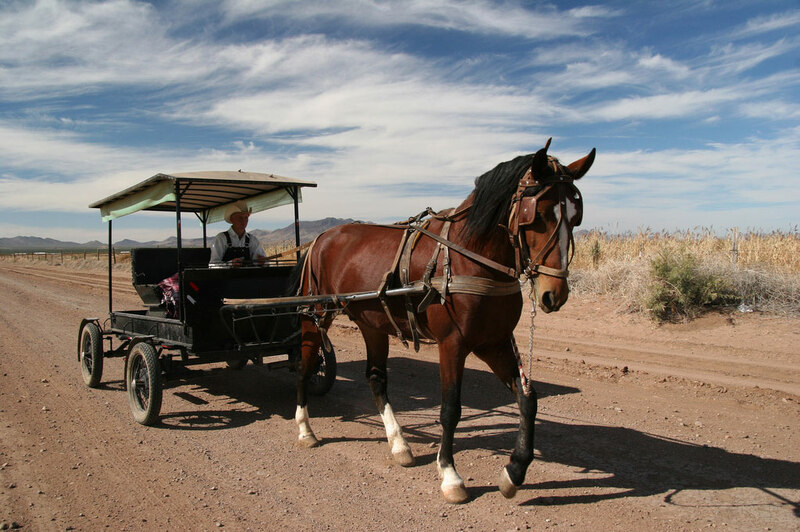 People get around by horse-drawn wagon at the Mennonite village of El Sabinal, Chihuahua, Mexico. The northern Mexican state of Chihuahua is one of Mexico’s most violent. Rising drug-related crime has taken a heavy toll on the state – just south of the border from New Mexico and Texas. But amidst the violence, a pacifist community thrives. Mennonites have been living in Chihuahua for decades. They’re considered a part of the state’s tapestry now – famous around Mexico for their cheese and other farm products. The World’s Lorne Matalon traveled there to meet some of Chihuahua’s Mennonites. Matalon: The village of El Sabinal in the remote Chihuahuan desert of northern Mexico looks like something out of another era. The houses are simple one-floor structures, vintage hand-made farm tools are still in use – and most people here get around in horse-drawn carriages. Matalon: El Sabinal is an orthodox Mennonite community – meaning its 600 people generally avoid modern contraptions like cars, electricity, modern music, and telephones. They also speak a German dialect to communicate with each other. But when it comes to speaking with outsiders — Spanish is the language of choice. Matalon: 17-year-old Jacobo Genter says his religion guides him to work the land without modern tractors and trucks – like in the time of Jesus. Genter would stand out almost anywhere else in Mexico. He’s blond and blue-eyed. He also sports a hand-made wide-brimmed straw hat and a dark blue sash around his baggy white trousers. He’s a descendant of Mennonites who first came to Mexico in 1922 – from Canada. They came by the thousands after the government invited them to farm the land here in the years after the Mexican revolution. 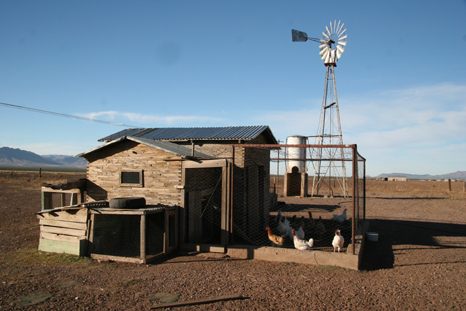 Almost nine decades later – they’re still here, farming in Chihuahua. Some Mennonite farmers – like Genter – are forsaking modern tools. Others are embracing them. Matalon: Henry Reimer lives in Valle Grande, 2 hours & a world away from El Sabinal. 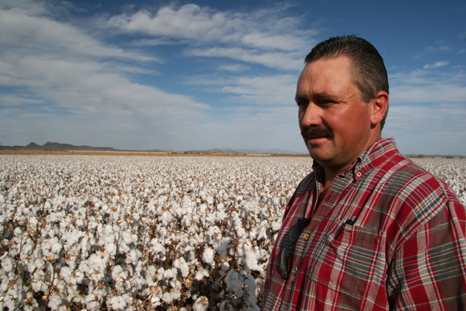 The 34-year-old grows cotton, corn and wheat using state-of-the-art tractors and four by fours to get around his fields. He also uses electric power to process his crops, and the internet to sell to buyers from China and Mexico. Reimer doesn’t think modern tools and conveniences compromise his Mennonite faith. Matalon: But like Mennonites in El Sabinal, whom he calls his brothers and sisters, Reimer has an apparently unshakeable religious faith. Matalon: It’s not just the desert he’s talking about. Drug-related violence is common in Chihuahua – the state that includes the border city of Juarez. And crime in the state has soared in recent years – as is the case in many parts of Mexico. Reimer says Mennonites – like all Mexicans – are cautious when it comes to personal safety. But that doesn’t mean crime hasn’t touched the community. Matalon: 35-year-old Corni Giesbruch can attest to that. He says he was driving back to El Sabinal from Juarez back in 2003 – when the cartel violence in Chihuahua was starting to get out of control. As night fell over a mountain pass, he stopped to move a gate that was blocking the road. He thought it was a cattle-crossing. But it was an ambush. He was robbed, shot in the back and left for dead. He survived. But he’s paralyzed from the waist down. Giesbruch admits that the thought of leaving Chihuahua has crossed his mind. But he says “this is home and we trust God will help us through these difficult times.” That’s a sentiment many non-Mennonite Mexicans can relate to. This entry was posted in BBC's The World, Photography, Radio and tagged Juarez, Mexico. Bookmark the permalink.